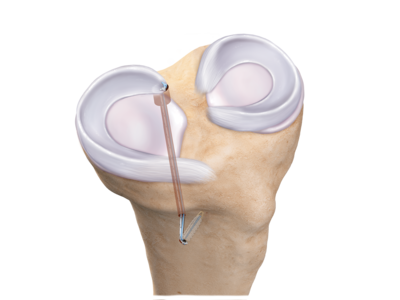 Position this specially designed adjustable drill guide and marking hook over the back of the tibia for reproducible meniscal root repair. 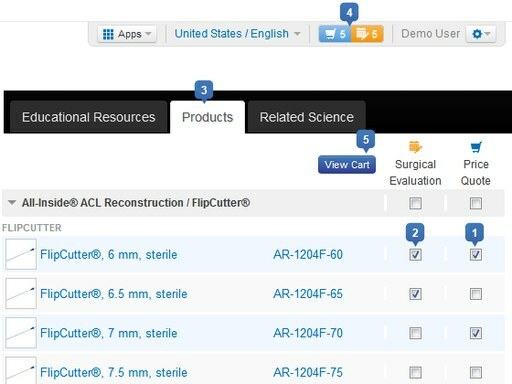 The adjustable guide can be set to a 5 mm, 7.5 mm, or 10 mm offset from the posterior tibia for socket creation using a 6 mm or 7 mm FlipCutter® drill to create a 5 mm- to 10 mm-deep socket. 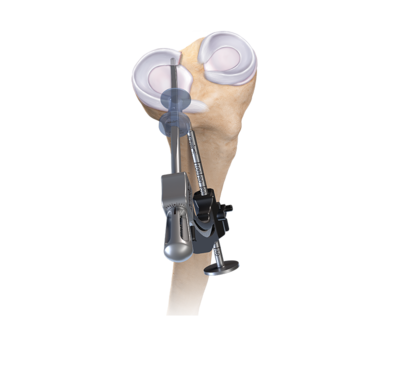 Rotate the drill guide to the optimal position on the anterior tibia to avoid concomitant tunnels and fixation devices. Arthrex, Inc. products are designed without any latex components or packaging. The primary packaging has been selected to not include latex in any form. If you have any further questions in this regard please contact your Customer Service Representative and they will assist you as promptly as possible.